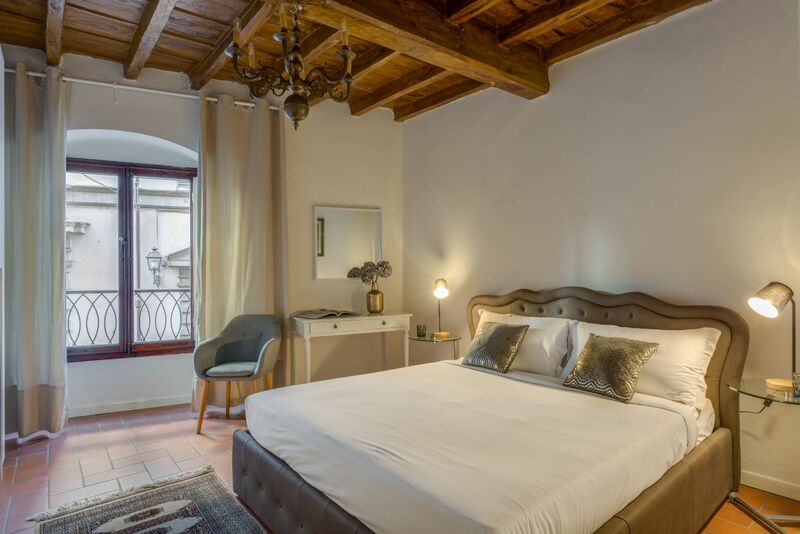 Modernity and tradition combined, for you to enjoy an unforgettable holiday in Florence, just one step away from the Duomo. 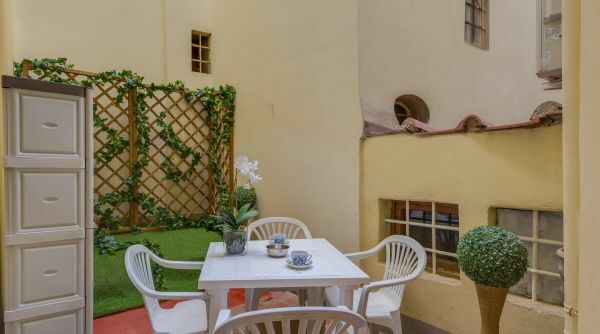 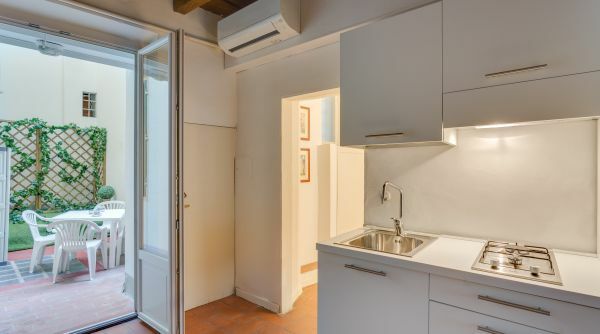 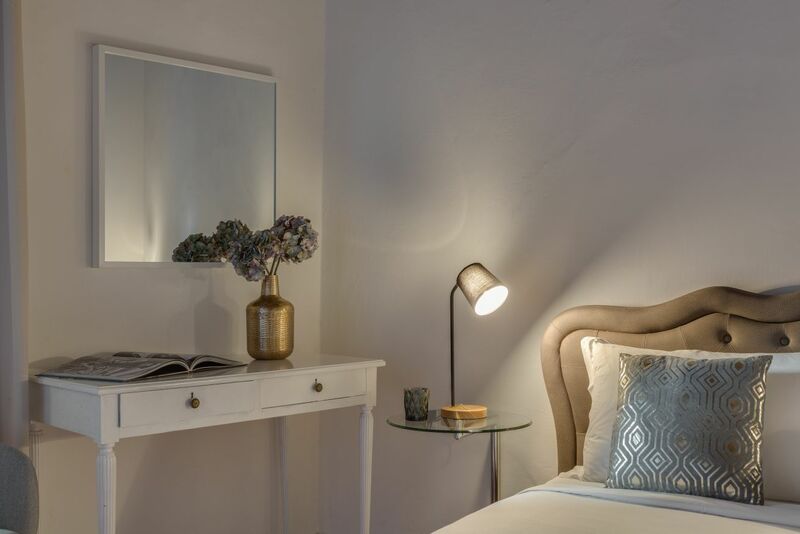 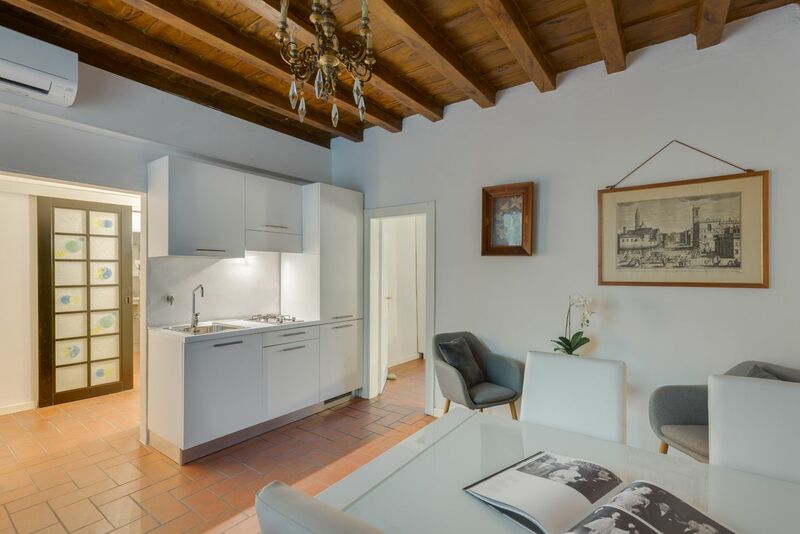 This apartment is located on the first floor of an historic building set on Via dell’Oriuolo, a lively street that arrives right at the Duomo, just a few minutes away from all of Florence's beauties. 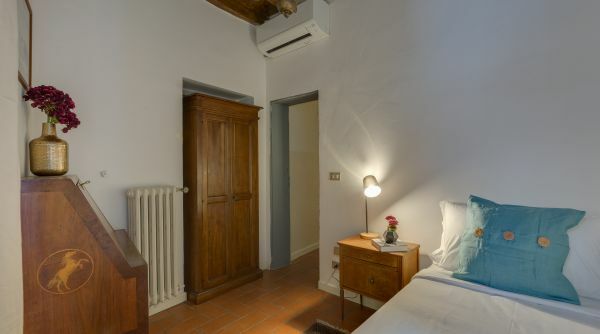 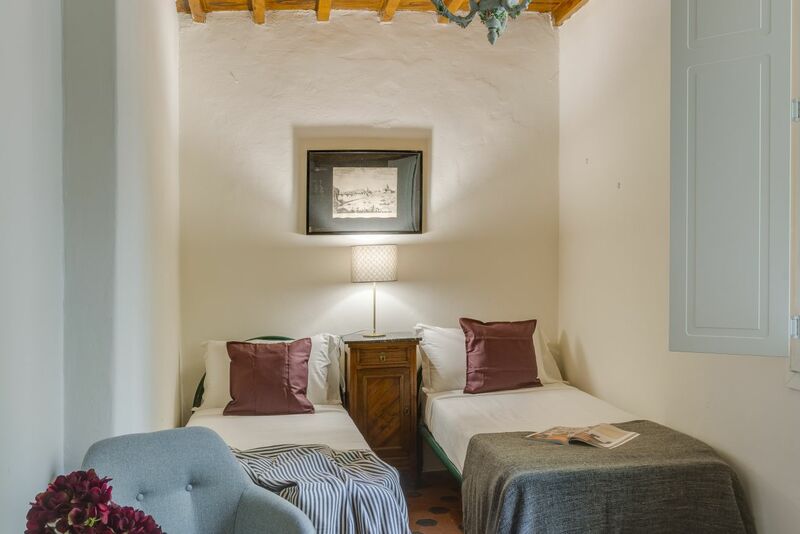 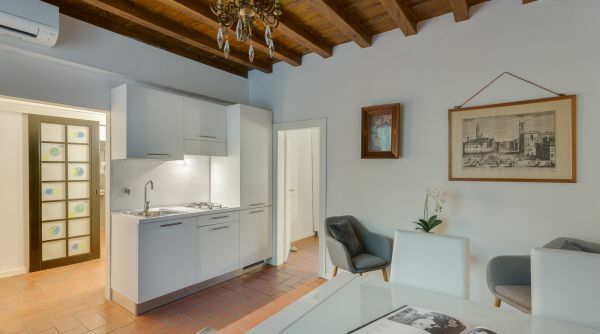 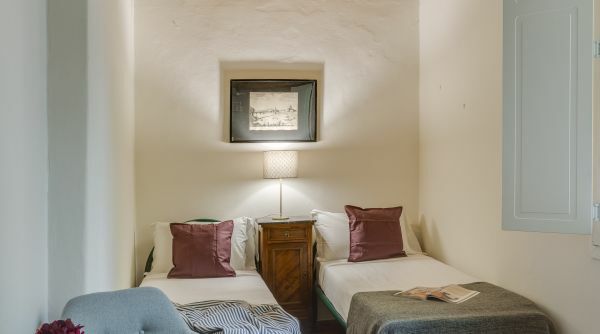 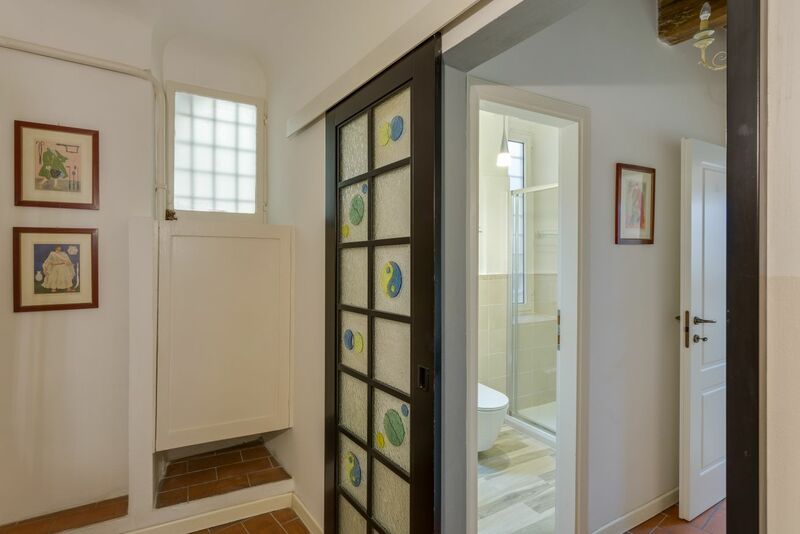 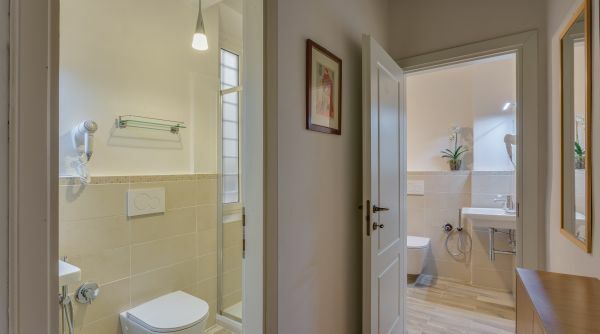 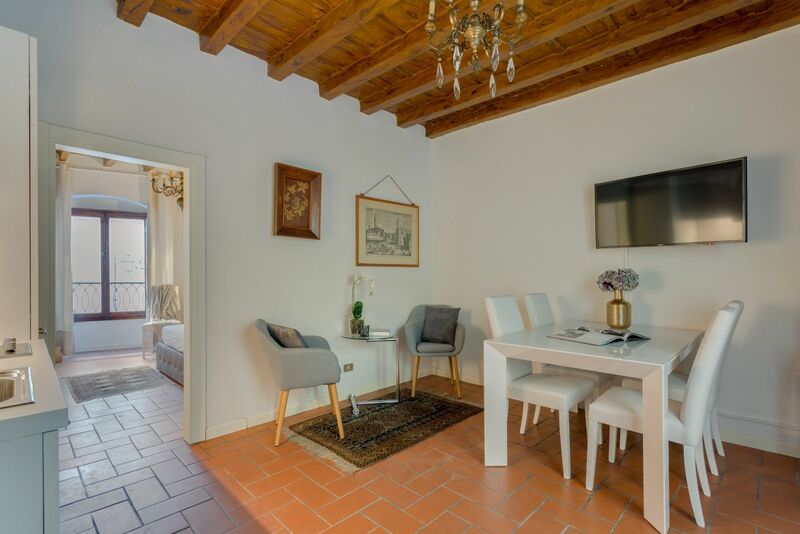 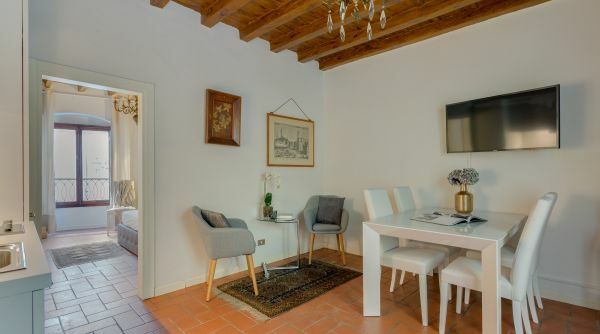 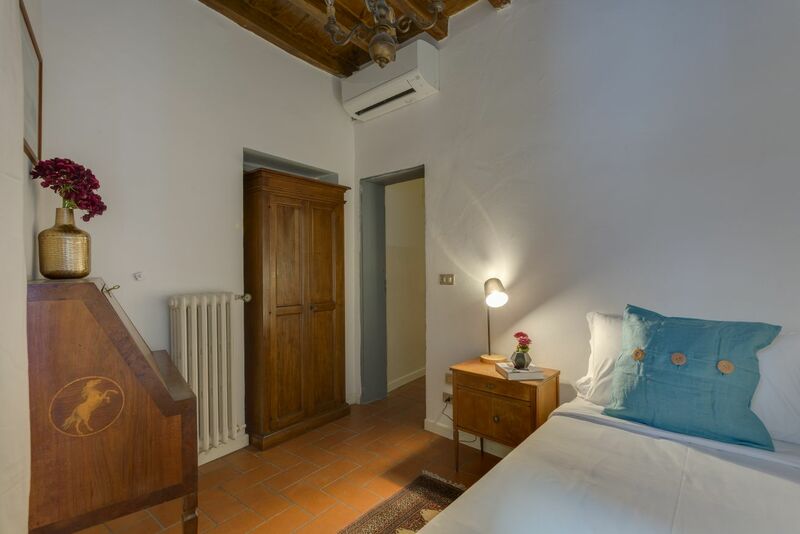 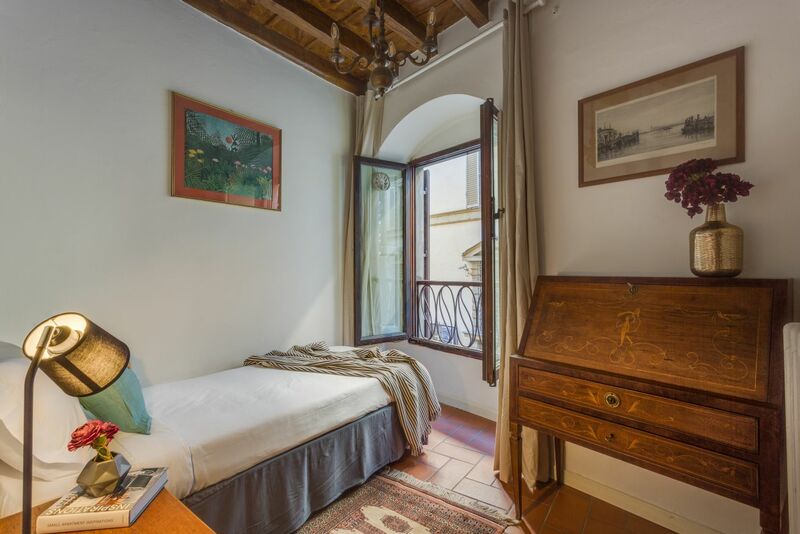 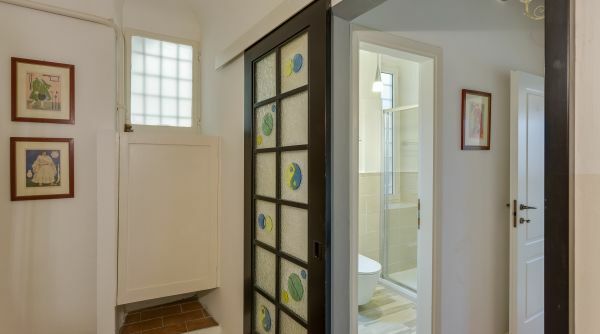 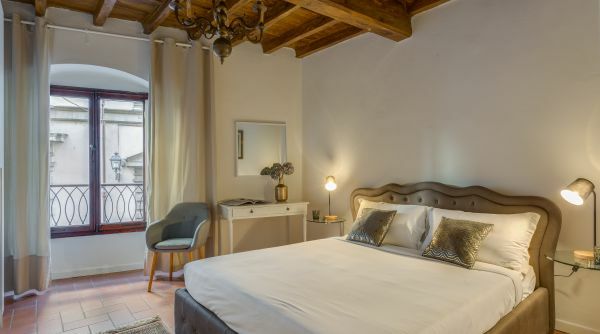 The whole place has been recently refreshed, with great attention to detail and in maintaining the rustic, typical features of Florentine traditional homes: original terracotta flooring, beautiful wooden ceilings and antique furniture items. 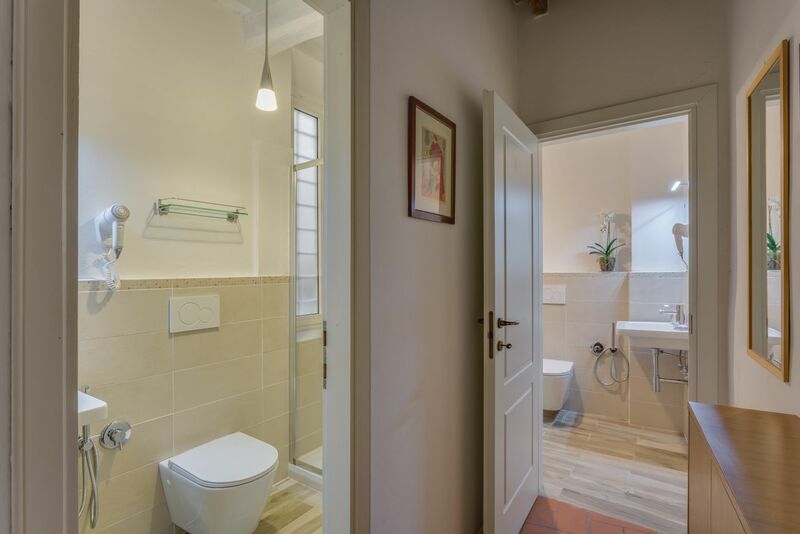 The apartment can accommodate up to five people thanks to the three bedrooms, two double and a single one, and two renovated bathrooms. 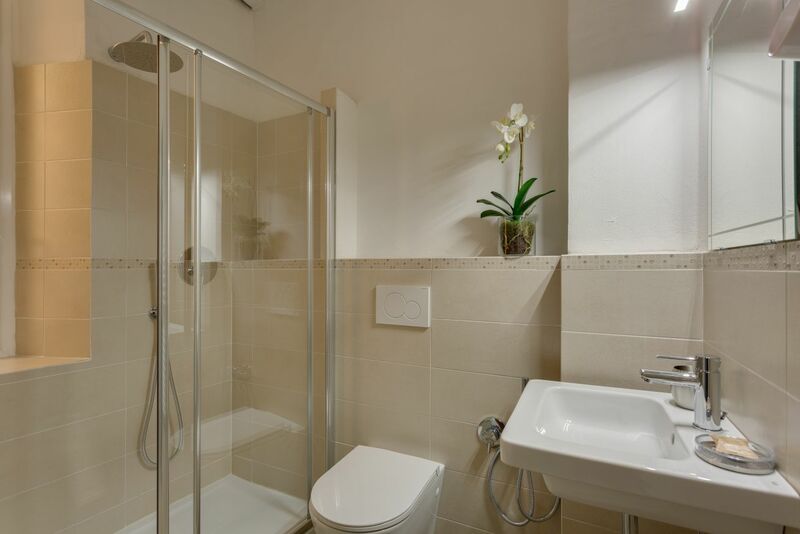 The entrance consist of a corridor leading to the apartment's different rooms. 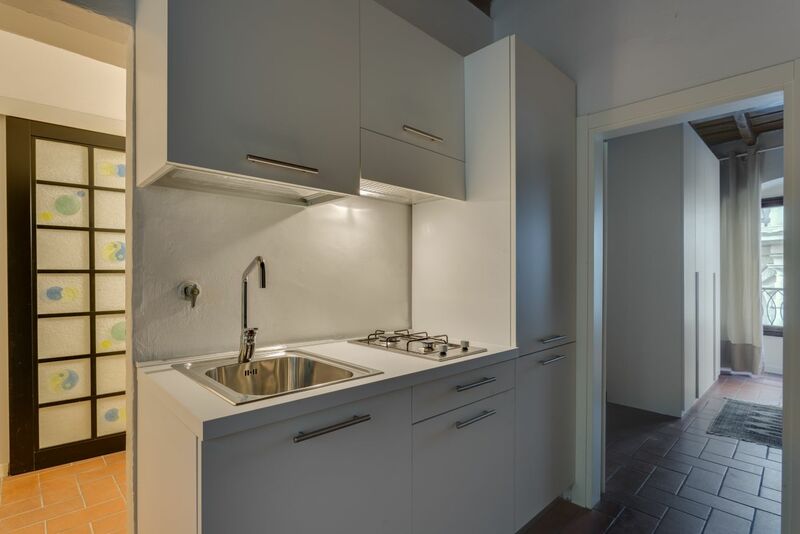 The living/kitchen area is spacious, equipped with a flat screen TV, a large dining table and the renovated kitchenette. 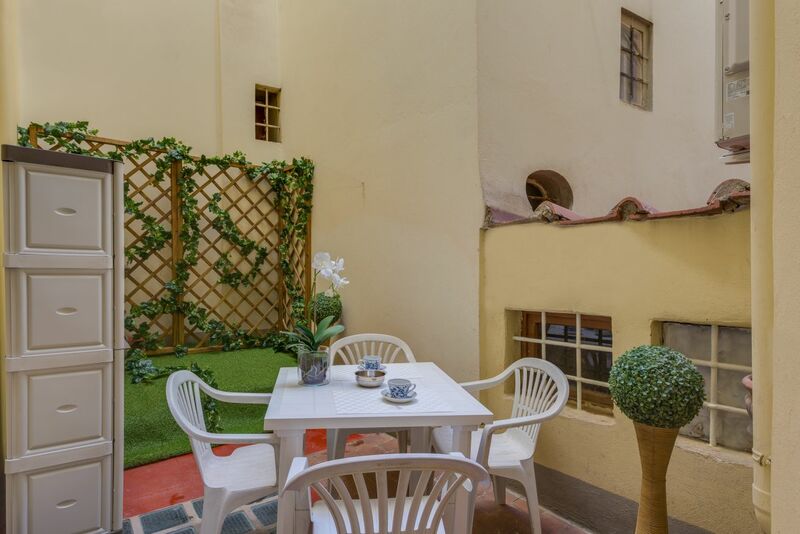 From this area you'll also have access to the wonderful private courtyard, equipped with outdoor furniture, table and chairs, for you to be able to enjoy relaxing moments outside. 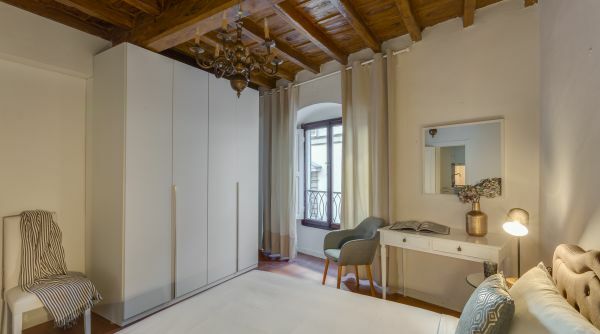 Next you will find the spacious master bedroom, featuring a queen size bed, large closet and a small desk. 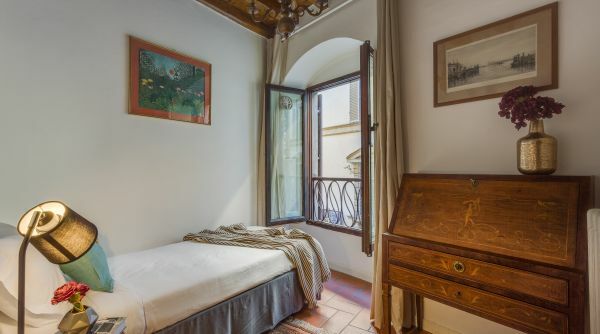 The second bedroom features a couple of single beds, closet and the third one is equipped with a single bed and an antique desk. 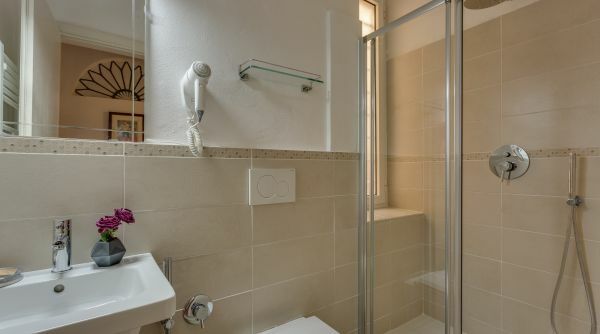 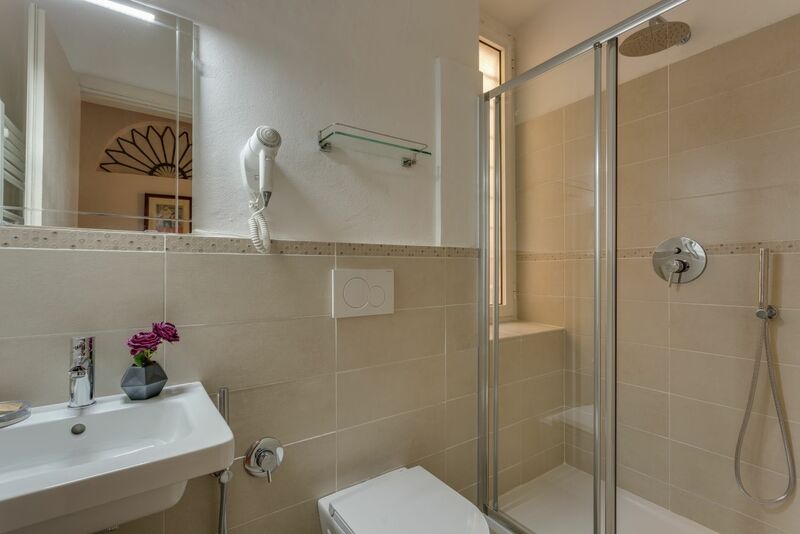 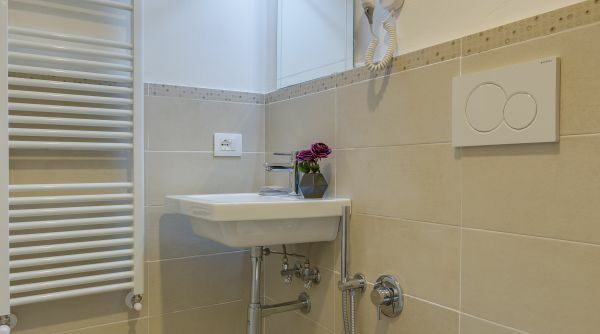 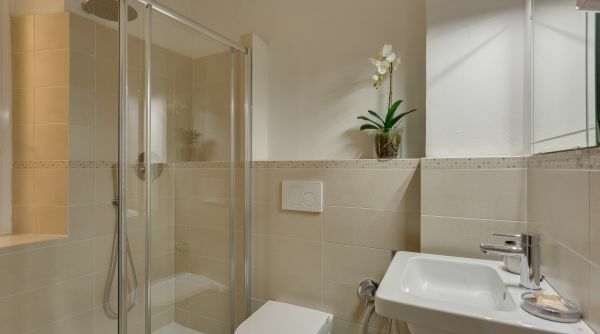 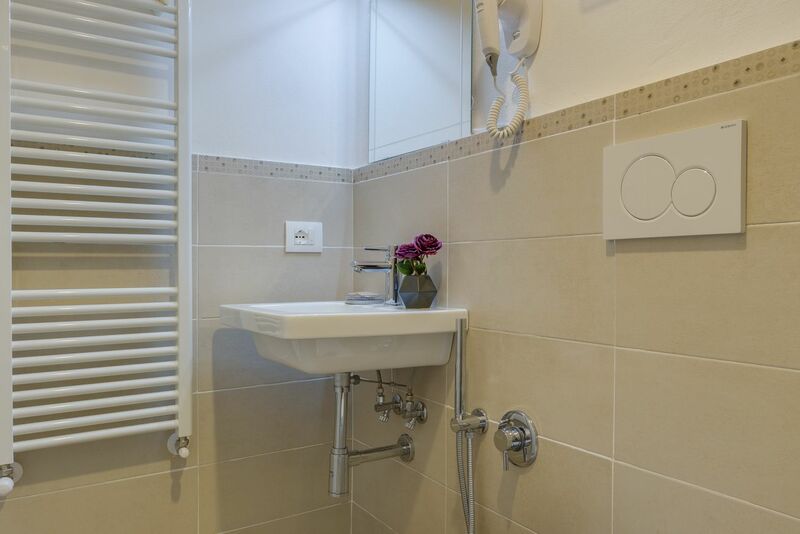 Two fully renewed bathrooms, fitted with large walk-in glass showers, complete the property. 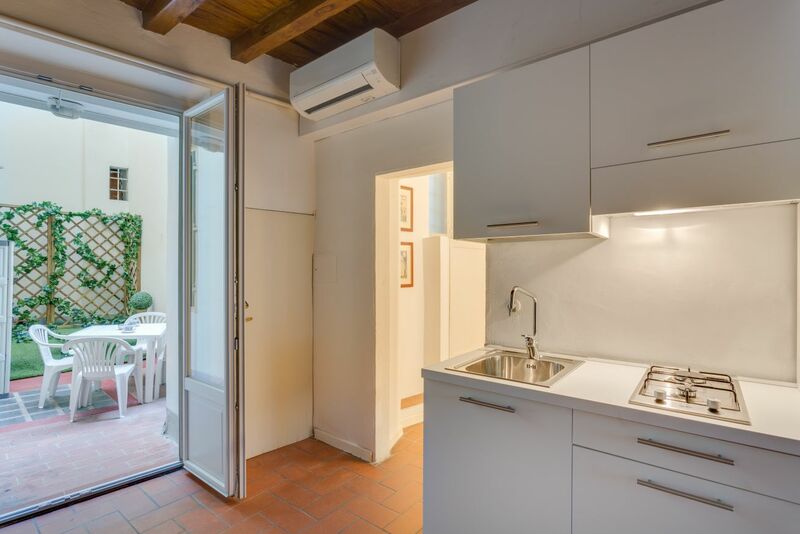 This beautiful apartment is particularly indicated for a family or a group of friends looking for a typical, stylish and comfortable location for their holiday in Florence. 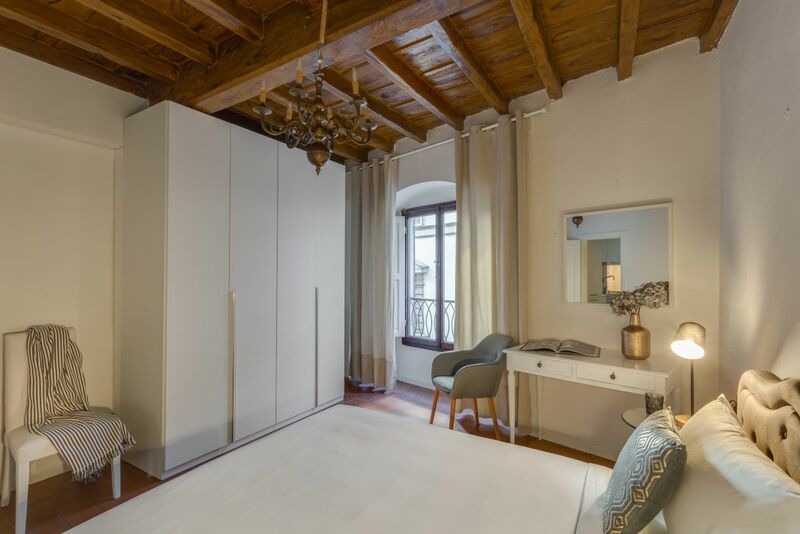 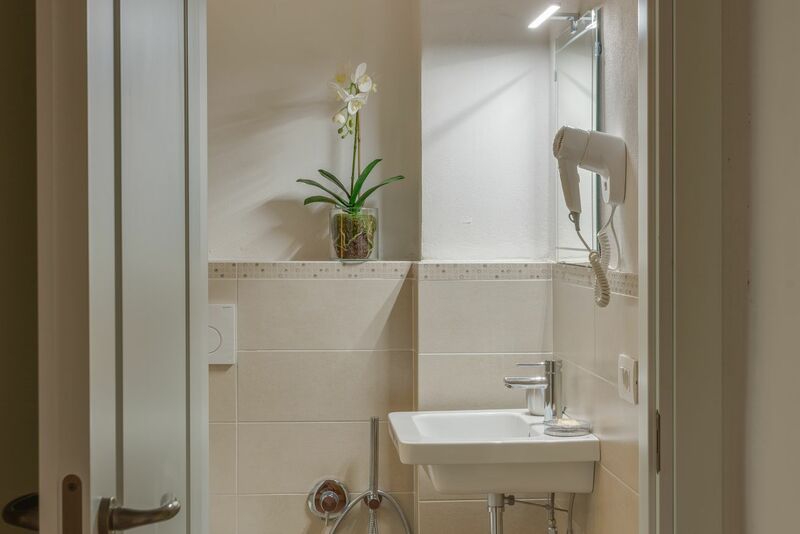 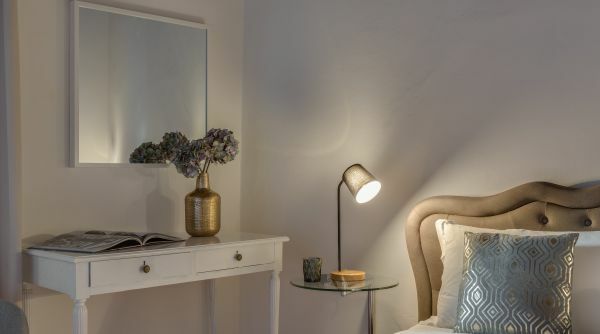 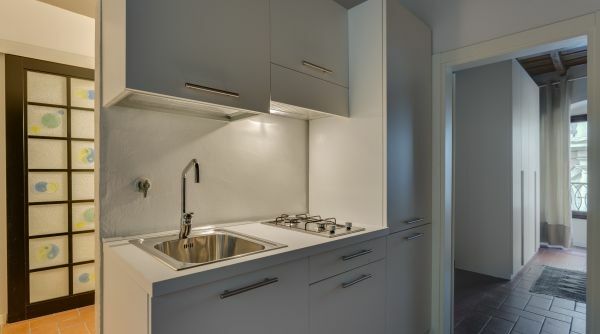 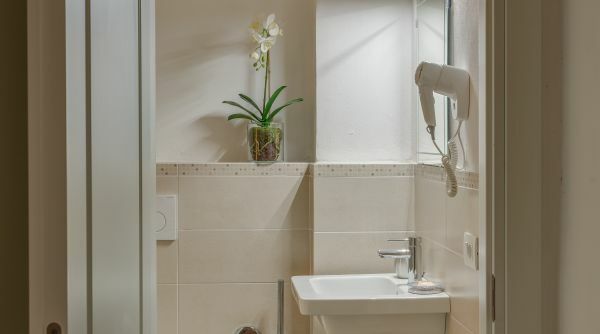 Choosing this apartment you'll have the chance to stay in the very heart of the ancient Florence, within walking distance from all the main museums and monuments: the Duomo, Santa Croce, Palazzo Vecchio, Ponte Vecchio, the Uffizi Gallery are all just a short walk away.